The Box | It's Better Than Working For A Living! This is a story about my father, World War II, Italy, the Metropolitan Opera, and my relationship to it all. Let’s start at the beginning…..the very beginning! My father, Frank D’Elia, was born in 1910 on the lower east side of Manhattan. He was one of 13 kids in a typical big Italian family, and like many kids of his generation, never went to high school because he had to go out into the world and earn money to help support his family. My father was different from many folks in those days though, in that his chosen profession was an opera singer. Jobs were hard enough to find, but finding a job as an opera singer was even harder. Long story short, that’s why he was very happy when he got to audition and then was offered a job in the chorus of the Metropolitan Opera. Meanwhile, in the rest of the world, the Germans and the Japanese were edging the world towards war and this would impact my father’s life in a very large way. Sometime in that first year of being a member of the Met chorus, he got his draft notice! After years of struggling and scraping by while supporting his family, he was finally at the point where he had a regular job, and now the US Army was going to change all that. He went to his draft board, looking to get an extension so that he could at least complete the 1940 season before reporting for duty. I remember his story about the man at the draft board telling him that it was people like him that wouldn’t want to help if Hitler was marching up 5th Avenue. My father’s retort was that, “if Hitler was marching up 5th Avenue, I doubted that a short, fat opera singer is going to make much of a difference!” Well, I guess that was enough to convince them to give him that extension, so he finished out his first season at the Met, and then went off to the army. Based on the established idea of how the army did business, my Dad was sure that he’d be sent off to some area where his background and experience would have no use to him. 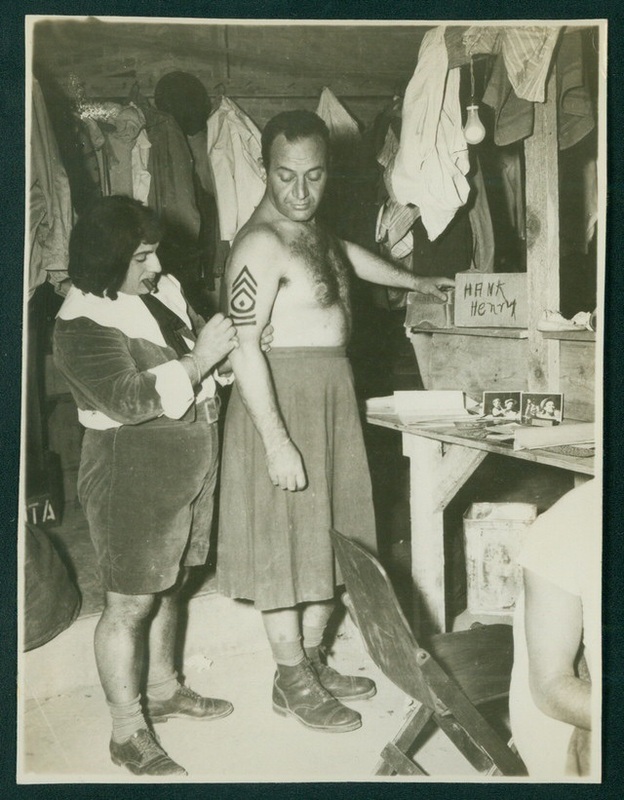 That’s why he was very surprised to be assigned to Camp Upton, in Yaphank on Long Island, to audition for the Irving Berlin all solder show, “This is the Army”. He passed the audition and joined the cast that included Broadway actors, movie stars, musicians from famous orchestras, and one singer from the Metropolitan Opera! For most of my childhood we’d be watching a movie or TV show, and my Dad would point out one of his “army buddies” that he’d traveled the world with in the show. Well, the show opened on Broadway where it played for 6 months, did a National Tour, spent 6 months in Hollywood making the Warner Brother’s movie, “This is the Army” and embarked on a world tour that included famous theaters, and army, navy and marine installations around the world. My Dad made friends and had experiences that he talked about for the rest of his life. Some of the places they performed were regal and some just a thrown together stage in the jungle, and their audiences ranged from Presidents and royalty, to groups of soldiers who had just come out of combat and who would be heading right back into it after the show. the show would be disbanded. General Eisenhower, however, thought that the show would be a great moral tool for his troops, and requested from Washington that the show play to Troops at the front. The request was approved and in February of 1944 they sailed for North Africa, and after 2 weeks there, sailed for Naples, Italy. In Naples they were billeted in the partially destroyed palace of Victor Emmanuel, and that’s where my story picks up. This was not my father’s first visit to Naples. During the 30s, he had sailed from New York to Naples with his voice teacher Madame Novelli. Madame Novelli was originally from Naples, and they stayed with her family for several months while visiting there. Among the members of the family was a young man about my father’s age, and the two of them became fast friends. Turn the clock ahead to 1944 and the American liberation of Naples. As soon as the “This is the Army” company got to Naples, my Dad looked for his old friends and found them living at the same address he’d visited as a young man. The war years had not been kind to his Italian friends, and my father did all he could to get them food and other supplies that they’d been years without. One of the benefits of this was that my Dad got to eat with the family, and had home cooked Italian meals for the first time in several years. The royal palace in Naples had been German headquarters in the city, and as such was a favorite target of the allied bombings. My Father would tell stories of sleeping in incredibly opulent surroundings with bomb blasted holes in the roof. The doors at the palace were about 10 feet tall and decorated with intricately carved and painted 4 inch by 10 inch panels. In a typical GI move, my Father pried one of these panels off the door as a souvenir. He told his friend about this and even took it with him to dinner one night to show the family. His friend said that he knew a wood carver and how would my father like it if he could get him to carve a box to match the panel, and use the panel as the lid? My Father liked that idea, and a plan was hatched. About a week later at dinner, his friend showed him the box. The wood carver had done an excellent job of matching the lid, and the carving was exquisite. All that was left was to paint the box to match the lid, and my father’s souvenir would be completed. He left them that night and promised to be back for dinner in 2 nights, and in turn, he was promised that the box would be ready for him to take. As they say, best laid plans. On the afternoon of the second day, the “This is the Army” company was ordered to load their trucks and be ready to leave Naples within 45 minutes. The Allied forces were continuing up the Italian boot and their show was needed closer to the front lines to entertain the troops. There was no time to get to his friends’ house and no way to tell them what was happening, so that was the last of his stay in Naples, and of the carved box. That happened in 1944 and was but a brief episode in all the escapades of the “This is the Army” troop, as they continued through Europe and eventually island hopped in the Pacific theater too. Believe me, I heard lots of “This is the Army” stories growing up, but none of them was any more prominent that the story of “The Box”! The stories of “This is the Army” continued, especially every 5 years when the alumni of the company would get together for a reunion. So now turn the clock forward to the summer of 1971. I’ve just graduated from college and we’ve planned a 4 week trip through Europe. It starts at the Ford of Germany plant in Cologne, Germany where we picked up a new Capri. We traveled through Germany, Switzerland and down one side of the Italian boot and up the other side. I very distinctly remember the day we got to Naples. After getting situated in the hotel room, my Dad went down to the lobby and found a phone book. He looked up the last name of his friend’s family and found a listing at the exact same address they’d lived at during the war. My Father placed a call and when a young lady answered, he explained who he was and asked for his friend by name. She said that he was looking for her Grandfather and that she’d get him. In a few minutes his friend, who he hadn’t seen or talked to in over 25 years, came to the phone. He couldn’t believe that this voice from his past was on the phone and was in Naples. One of the first thing he said as they stated the conversation was, “Frank…I’ve got your box!”. That was almost 40 years ago, and was the culmination of a story I’d heard my Father tell all my life. Now his story of “The Box”, the souvenir that got away, had a new, and almost impossible to believe ending! My Dad died in 1983, but I must admit that I have continued to tell the story, and I guess keep him and his “This is the Army” stories alive. My Father was a great story teller, and after growing up on so many of these stories, and then finally seeing the movie in my teens, I feel very connected to this time in my Father’s life. Oh…and the box? It’s on my Mother’s coffee table in her living room, as it has been since we returned from Europe in 1971, and it completed it’s trip started in 1944! PS ….In the four plus years since I wrote this story, my Mom has died and the home she shared with my Dad has been emptied and sold. The Box now has a place of honor on the hutch in our dining room, complete with the scar on the top that my now 32 year old son was responsible for as a one year old. I hope it will always have a place of honor in our family, a reminder of our member of the Greatest Generation. This entry was posted in Real Life and tagged Frank D'Elia, Metropolitan Opera, Naples, This is the Army. Bookmark the permalink. Thanks again for reading the story and for remembering my Dad.